With Christmas decorations boxed away for another year, the January sales in full swing and stores quickly filling up with their new spring 2012 collections, now an ideal time for a little interior refresh. I love that feeling you get when the decorations go away and calm is restored. I always clean my apartment within an inch of its life and fling open the windows letting the cool January air blow in straight away! H&M Home allows for a New Year interiors accessories refresh without blowing an already no doubt squeezed post-holiday budget! I've grouped the store's new arrivals into two trends - Rustic Industrial and Spring Fresh Hues - the former suiting a more pared back scheme and the latter more playful and youthful in nature. Although separated here, there's every possibility for a successful mix and match of accessories from across the two themes. For example, a bold and bright floral print mixed with a collection of neutral, stone-hued pillows could work a treat; the perfect little splash of spring the forthcoming season. Which trend and products are catching your eye? 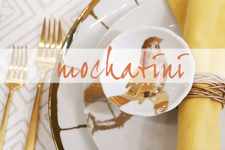 Do you like to have a little decor refresh in the New Year? 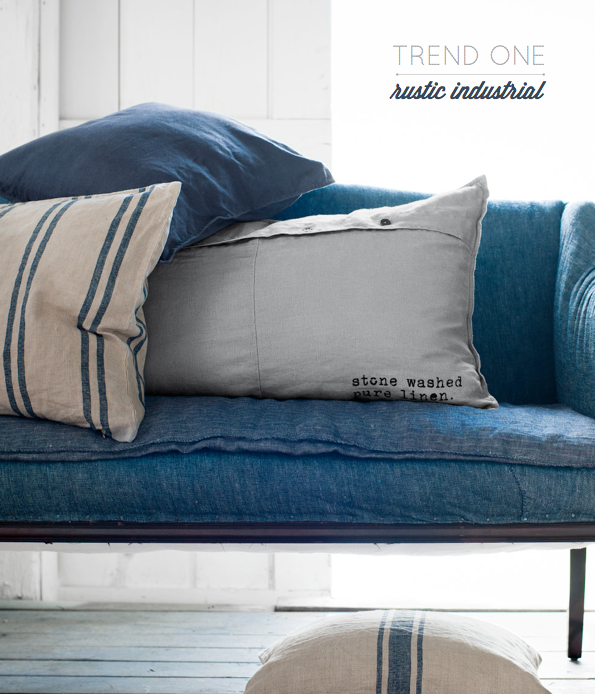 I love the rustic industrial line - need to get some of those linens!!! 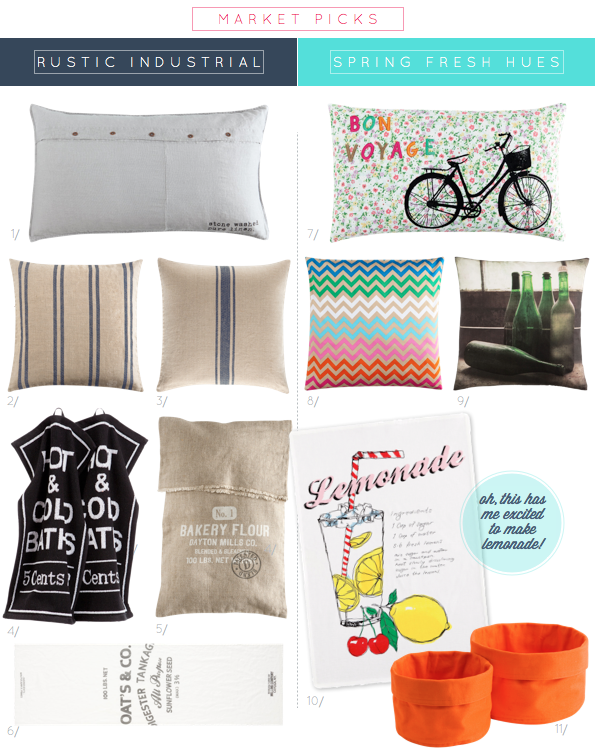 Oh I love that neon/neutral chevron pillow! Do they ship to the US? hm. Happy New Year, Will! ohh those spring hues were just what i needed to see. what happy colors! oh my gosh - I'm dying over that floral bedding! When will H&M Home come to the States?!! Spring colors as a new trend for spring?? I have never heard of that one. Never in my whole life. 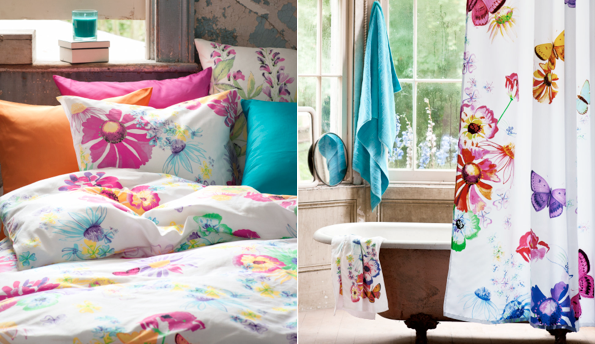 Love the floral bedding Will from their Floral Pastels range! Love all the chevron pattern! 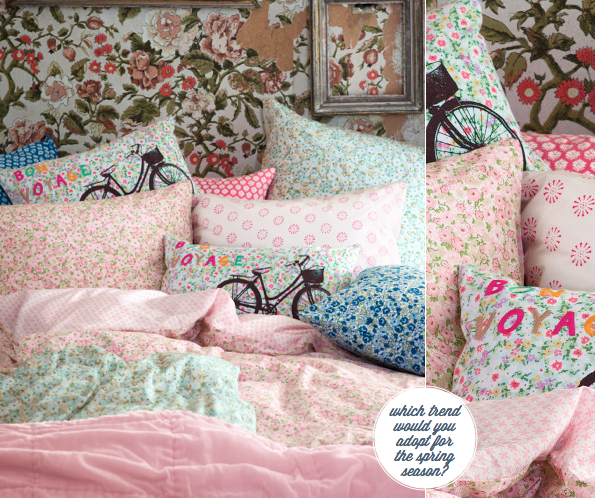 Im definately all for the brights and anything with a bicycle print like that coushin, great find! 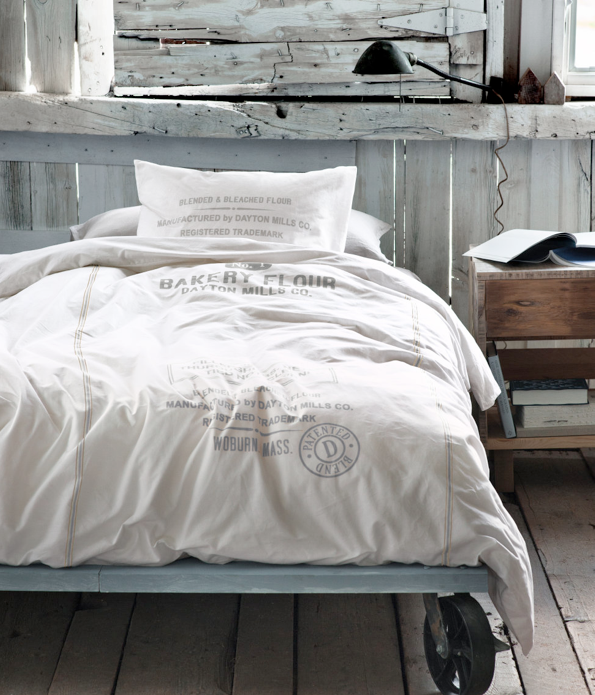 LOVE h&m home. i cleaned my apartment yesterday, storing all the christmas decorations away and just bought new spring flowers... so i'm definitely ready for new decorations. i agree with hannah: the chevron patterns are just plain great and i love the romantic floral bedding as well. @Igor - Ditto. 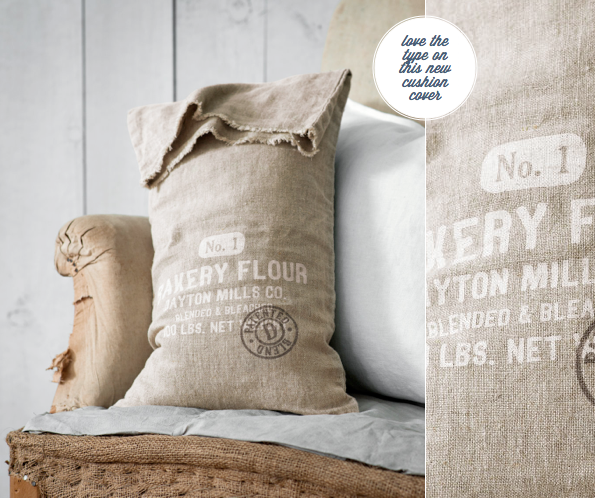 The bakery flour cushion is calling my name! @Nikki, Ashleigh - Not at present I don't think. Heard rumours that they are due to start shipping H&M Home to states soon though. @Martine - Happy New Year to you, too! Yes, I'm feeling drawn to the wonderful textures of Rustic Industrial. @Rachael, Rachel - Happy spring colours indeed! @Rona, Michelle, Hannah - Likewise. Perfect for the forthcoming season! @homeboundtheheartoflife - I did the same a few days ago but didn't get any new blooms... great idea! 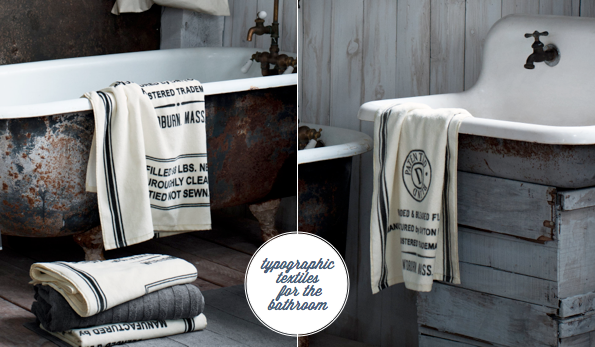 Love very very much the typographic textiles!!! The bright spring colors make me hopeful for a short winter. Pretty! Thanks for sharing. Bright for me, please! We JUST got an H&M, hopefully home will follow soon! Happy New Year, Will!!! happy new year Will! I can't make a choice... 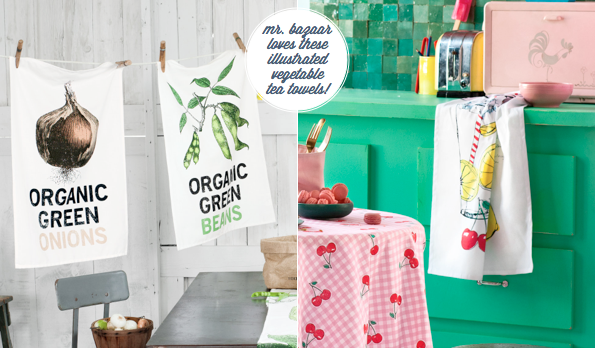 I love both... May be rustic industrial for my kitchen and spring fresh for my rooms! 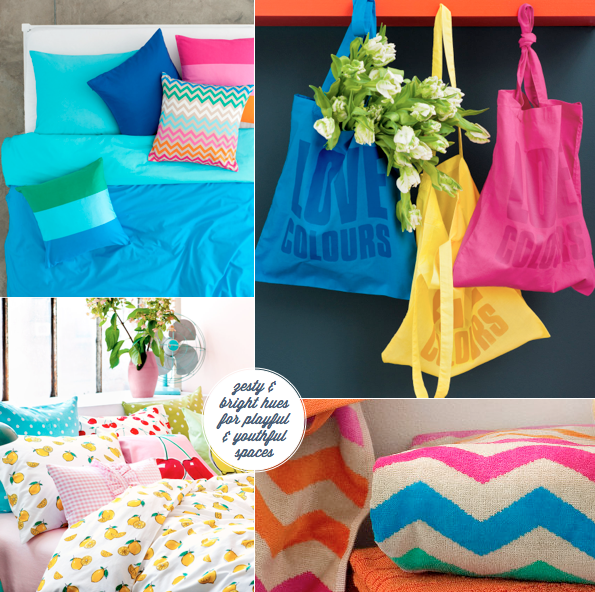 LOVE all those beautifully bright colours! Makes me excited for spring, which hopefully won't be tooo far away. Happy New Year, Will! Just found this post, thanks for sharing. I'm one who's loves both and would love the first one with just an odd touch of the second. Greedy, I know! 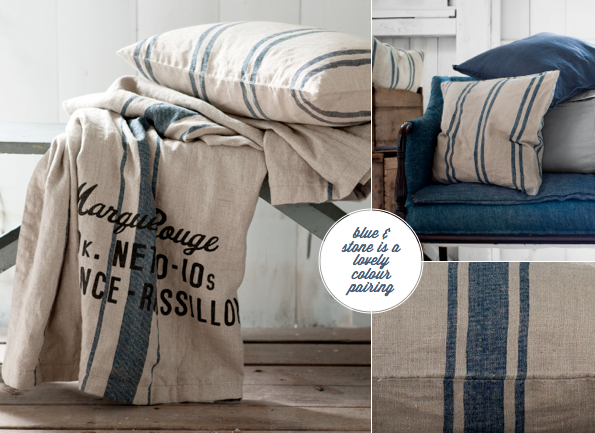 I am not much of a 'floral girl' (apart from in vases and gardens..) so I'd go for the coarse linens, denims etc. To me it's more 'french farmyard' than 'industrial' but either way, it works - it's timeless. Can't wait for the year to unfold. A whole year ahead - so exciting!! Big hugs from the North. I love that the Spring news are out already! 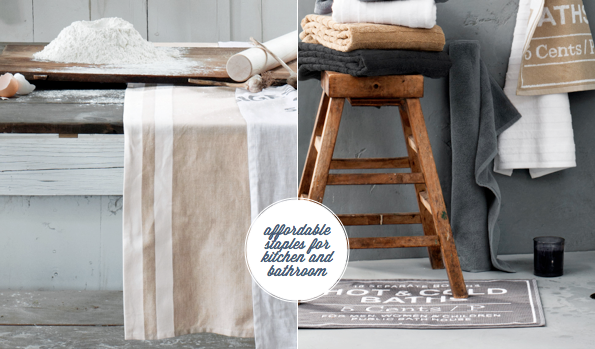 They are both lovely, but my favorite is the "Rustic industrial" look. Thanks so much for sharing your faves with me, folks! Love hearing which products and trends inspire you the most. I am addicted to chevrons at the moment, so might add some of these to my collection! I love a little new year spruce up and we unearthed some long forgotten goodies (hello giant candle lantern!) while prepping for our NYE party so we're getting a bit of renewal without spending a penny. 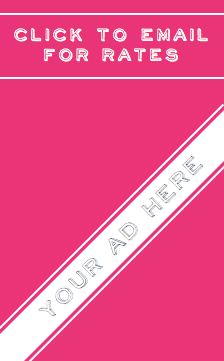 Those chevrons really have me longing for a bit of color, though. So perfect. Looks like chevron prints will be the season picks! Love 'em! really digging those chevron towels!! Though they are both something to drool over, ;), the former is definitely my favorite! I am drawn to the colorful chevron rug, it looks fun and feels energetic! I can't believe H&M has a home line in the UK! I am so jealous. They need to make that in the US immediately! I'm in love with that floral bedding in the pink and the green-that screams spring to me. ah! 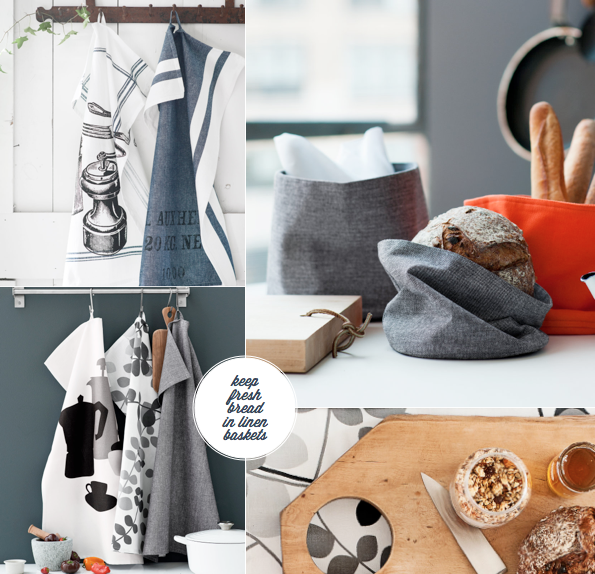 your h&m home posts kill me! i'm stuck here the states drooling... jealously.